Lots of folks will shoot down the concept and store just because it’s Starbucks… you know, the “dark side” or “evil empire,” the epitome of all things bad about big corporations. The wolf is donning sheep’s clothing, posing as an elite roastery and cafe, preparing to devour small, upscale roasters and cafes around the country. We certainly cheer for the small guys too. But, we don’t see Starbucks as inherently bad. 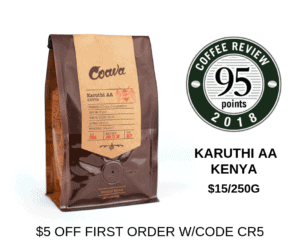 At Coffee Review, we blindly and objectively evaluate and rate coffees based on their merits. We’ll reserve judgment on Starbucks’ Reserve until we can actually cup their coffees.